The rumour mill was in full effect at Griffin Park on Friday as it seemed Brentford have signed another midfielder. 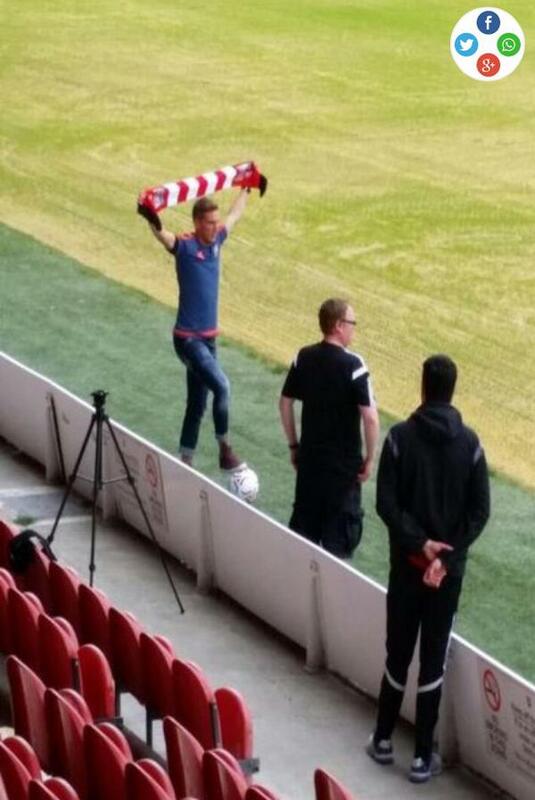 This, after a picture appeared on Twitter via Sam Boyd (@Boydy1994) showing a mystery man holding ‘the signing scarf’ aloft, pitch side, with Chris Wickham in attendance. Thanks for reading and all your comments over the course of the season. For now, it’s the annual clean up to make more space on the site for the inevitable follow up. However, ‘close season’ will continue in full, further along. We did. And we still are ! Who is the scarf waving enigma? And where did this picture come from?